Homeostasis – The body's attempt to maintain a constant internal environment In a general sense this phenomenon refers to stability or balance in a system. Think for a moment about the multitude of functions taking place in our body at this moment. Our heart is beating, we are breathing. We are reading, so some nerve cells are active and our eyes are moving. Our body can carry out these functions because its cells are specialized to perform specific tasks. But cell specialization is not enough. Specialized cells are organized into tissues, organs, and organ systems. The human body consists of close to 100 trillion cells and each one of them is part of an organ system designed to perform essential life functions such as respiration, growth and development, movement, reproduction, control, coordination and regulation. All the cells will work together for the maintenance of the entire organism. Although conditions outside the body sometimes vary dramatically, our bodies maintain a relatively constant internal environment. The pH of the blood, for example, is about 7.4, the concentration of glucose in the blood is about 0.9 mg/ml, and body temperature usually hovers around 36.2 degree Celsius (98.2 degree F). This internal constancy is called homeostasis. It occurs at all levels of body organization, from cells to organ systems. The word homeostasis means "to stay the same". As external conditions vary, the body's internal processes must also shift to counteract the change and keep internal conditions relatively constant. 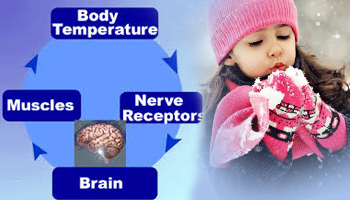 Maintenance of body temperature is an example of homeostasis The human body manages a multitude of highly complex interactions to maintain balance or return systems to functioning within a normal range. These interactions within the body facilitate compensatory changes supportive of physical and psychological functioning. This process is essential to the survival of the person and to our species. Maintaining a constant internal environment with all that the cells need to survive (oxygen, glucose, mineral ions, waste removal, and so forth) is necessary for the well-being of individual cells and the well-being of the entire body. The varied processes by which the body regulates its internal environment are collectively referred to as homeostasis as discussed earlier. It is the ability or tendency of an organism or cell to maintain internal equilibrium by adjusting its physiological processes. Homeostatic mechanisms are dynamic and regulate many different parameters in the human body (e.g., pH, dissolved oxygen, glucose concentration). From the earliest days of physiology-at least as early as the time of Aristotle-physicians recognized that good health was somehow associated with a balance among the multiple life-sustaining forces in the body. The advent of modern tools of science, including the ordinary microscope, led to the discovery that the human body is composed of trillions of cells, each of which is packaged to permit movement of certain substances, but not others, across the cell membrane. Over the course of the nineteenth and twentieth centuries, it became clear that most cells are in contact with the interstitial fluid. The interstitial fluid, in turn, was found to be in a state of flux, with water and solutes, such as ions and gases, moving back and forth through it between the cell interiors and the blood in nearby capillaries. Homeostasis in a general sense refers to stability, balance or equilibrium. It is the body's attempt to maintain a constant internal environment. Homeostatic control mechanisms A homeostatic control system maintains body temperature when room temperature decreases. The "Begin" sign indicates where to start. The arrows next to each term within the boxes denote increases or decreases. The arrows connecting any two boxes in the figure denote cause and effect; that is, an arrow can be read as "causes" or "leads to." (For example, decreased room temperature "leads to" increased heat loss from the body.) In general, you should add the words "tends to" in thinking about these cause and- effect relationships. For example, decreased room temperature tends to cause an increase in heat loss from the body, and curling up tends to cause a decrease in heat loss from the body. Qualifying the relationship in this way is necessary because variables like heat production and heat loss are under the influence of many factors, some of which oppose each other. The activities of cells, tissues, and organs must be regulated and integrated with each other so that any change in the extracellular fluid initiates a reaction to correct the change. The compensating mechanisms that mediate such responses are performed by homeostatic control systems. Consider an example of the regulation of body temperature. Our subject is, a resting, lightly clad man in a room having a temperature of 20°C and moderate humidity. His internal body temperature is 37°C, and he is losing heat to the external environment because it is at a lower temperature. However, the chemical reactions occurring within the cells of his body are producing heat at a rate equal to the rate of heat loss. Under these conditions, the body undergoes no net gain or loss of heat, and the body temperature remains constant. The system is in a steady state, defined as a system in which a particular variable-temperature, in this case-is not changing, but energy-in this case, heat-must be added continuously to maintain a constant condition. Steady state differs from equilibrium, in which a particular variable is not changing but no input of energy is required to maintain the constancy. The steady-state temperature in our example is known as the set point, sometimes termed the operating point, of the thermoregulatory system. This example illustrates a crucial generalization about homeostasis. Stability of an internal environmental variable is achieved by the balancing of inputs and outputs. 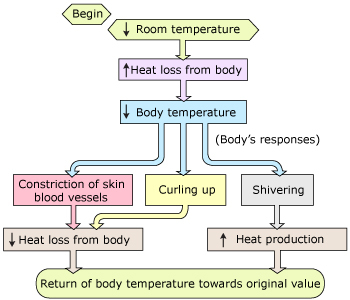 In the previous example, the variable (body temperature) remains constant because metabolic heat production (input) equals heat loss from the body (output). Body temperature regulation A thermogram of the human body under different temperature conditions. It is warm at left and cold at right. Temperatures are color-coded: red (37 degrees Celsius, normal body temperature), peach (37-36 degrees), light pink (36-32 degrees), dark pink (32-28 degrees), light blue (28-25 degrees) and dark blue (below 25 degrees). Even under normal conditions the extremities are cooler. When the body is cold, however, it diverts heat to the core region, incorporating the brain and chest organs, in order to save energy while protecting the vital organs. 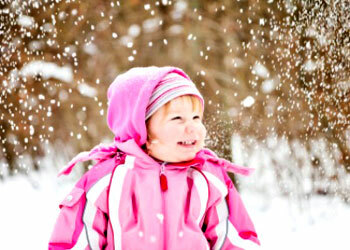 Death occurs when the core body temperature drops below about 32 degrees. Now imagine that we lower the temperature of the room rapidly, say to 5°C, and keep it there. This immediately increases the loss of heat from our subject's warm skin, upsetting the balance between heat gain and loss. The body temperature therefore starts to fall. Very rapidly, however, a variety of homeostatic responses occur to limit the fall. Figure summarizes these responses. The first homeostatic response is that blood vessels to the skin become constricted (narrowed), reducing the amount of warm blood flowing through the skin. This reduces heat loss to the environment and helps maintain body temperature. Clearly, then, if excessive heat loss (output) cannot be prevented, the only way of restoring the balance between heat input and output is to increase input, and this is precisely what occurs. Our subject begins to shiver, and the chemical reactions responsible for the skeletal muscular contractions that constitute shivering produce large quantities of heat. Control mechanisms for Homeostasis Control mechanisms of homeostasis have at least three components for the system being regulated. A receptor that senses a stimuli is needed, the control center that determines the right response to the stimuli, and the effector that the control center sends the signal to. The effectors can be a muscle, organs or other structures that receive the messages that a reaction is needed. The receptor receives information that something in the environment is changing. The control center or integration center receives and processes information from the receptor. And lastly, the effector responds to the commands of the control center by either opposing or enhancing the stimulus. 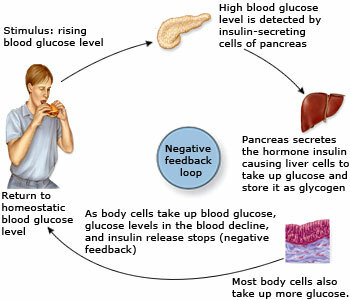 This is an ongoing process that continually works to restore and maintain homeostasis. For example, in regulating body temperature there are temperature receptors in the skin, which communicate information to the brain, which is the control center, and the effector is our blood vessels and sweat glands in our skin. Because the internal and external environment of the body are constantly changing and adjustments must be made continuously to stay at or near the set point, homeostasis can be thought of as a synthetic equilibrium. After receiving the signal, a change occurs to correct the deviation by either enhancing it with positive feedback or depressing it with negative feedback. Positive Feedback An example of positive feedback is the release of oxytocin to increase and keep the contractions of child birth happening as long as needed for the child's birth. 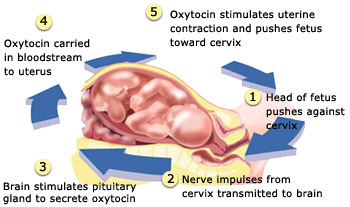 Contractions of the uterus are stimulated by Oxytocin, produced in the pituitary gland, and the secretion of it is increased by positive feedback, increasing the strength of the contractions. Positive feedback is the body's mechanism to enhance a output needed to maintain homeostasis. Positive feedback mechanisms push levels out of normal ranges. Even though this process can be beneficial, it is rarely used by body because of the risk of the increased stimuli becoming out of control. These are designed to accelerate or enhance the output created by a stimulus that has already been activated. Unlike negative feedback mechanisms (the above mentioned example) that initiate to maintain or regulate physiological functions within a set and narrow range, the positive feedback mechanisms are designed to push levels out of normal ranges. To achieve this purpose, a series of events initiates a cascading process that builds to increase the effect of the stimulus. This process can be beneficial but is rarely used by the body due to risks of the acceleration's becoming uncontrollable. Not surprisingly, therefore, positive feedback is less common in nature than negative feedback. One positive feedback example event in the body is release of oxytocin to intensify the contractions that take place during childbirth. Negative Feedback Negative feedback works in the opposite way that positive feedback does. With negative feedback, any change from the normal range of function, causes the negative feedback mechanisms to resist or oppose the change, bringing the function back to normal ranges. Negative feedback mechanisms consist of reducing the output or activity of any organ or system back to its normal range of functioning. A good example of this is regulating blood pressure. Blood vessels can sense resistance of blood flow against the walls when blood pressure increases. The blood vessels act as the receptors and they relay this message to the brain. The brain then sends a message to the heart and blood vessels, both of which are the effectors. The heart rate would decrease as the blood vessels increase in diameter (known as vasodilation). This change would cause the blood pressure to fall back to its normal range. The opposite would happen when blood pressure decreases, and would cause vasoconstriction. Another good example of negative feedback mechanism is temperature control. The hypothalamus, which monitors the body temperature, is capable of determining even the slightest variation of normal body temperature (37°C). Response to such variation could be stimulation of glands that produce sweat to reduce the temperature or signaling various muscles to shiver to increase body temperature. Both feedbacks are equally important for the healthy functioning of one's body. Complications can arise if any of the two feedbacks are affected or altered in any way. Hypoglycemia– One of the Homeostatic disordersHypoglycemia, also called low blood glucose or low blood sugar, occurs when blood glucose drops below normal levels. Many diseases are a result of disturbance of homeostasis, a condition known as homeostatic imbalance. As it ages, every organism will lose efficiency in its control systems. The inefficiencies gradually result in an unstable internal environment that increases the risk for illness. In addition, homeostatic imbalance is also responsible for the physical changes associated with aging. Even more serious than illness and other characteristics of aging is death. Heart failure has been seen where nominal negative feedback mechanisms become overwhelmed, and destructive positive feedback mechanisms then take over. Diseases that result from a homeostatic imbalance include diabetes, dehydration, hypoglycemia (hypoglycemia is a condition that occurs when your blood sugar (glucose) is too low. Blood sugar below 70 mg/dL is considered low. 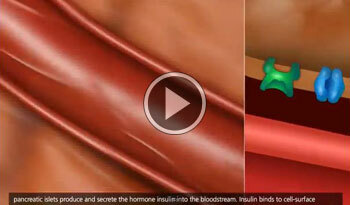 Blood sugar at or below this level can harm you. ), hyperglycemia, gout (gout is a kind of arthritis that occurs when uric acid builds up in blood and causes joint inflammation. ), and any disease caused by a toxin present in the bloodstream. All of these conditions result from the presence of an increased amount of a particular substance. In ideal circumstances, homeostatic control mechanisms should prevent this imbalance from occurring, but, in some people, the mechanisms do not work efficiently enough or the quantity of the substance exceeds the levels at which it can be managed. In these cases, medical intervention is necessary to restore the balance, or permanent damage to the organs may result. Thus, many aspects of our body’s internal environment e.g. body temperature, the concentration of glucose in the blood, tissue fluid, the osmotic concentration and volume of the blood, are kept at almost constant levels. This maintenance of a constant internal environment is called homeostasis. Homeostasis ensures that the body cells are provided with a relatively constant environment, so that they work efficiently and optimally, even though there might be changes outside the body.